I received my diploma frame and it is perfect! Your craftsmanship is incredible and your customer service has been exemplary! I look forward to my next frame purchase. Click on the links below for news articles about Church Hill Classics, the company's products and employees, as well as interviews with owner Lucie Voves to learn more about the history and the future of Church Hill Classics. 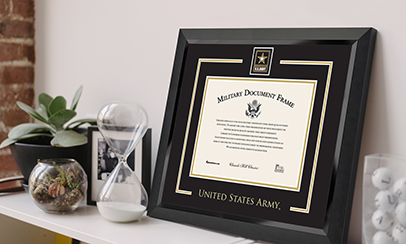 How to Ensure Your Graduation Goes with a Bang - Ms. Career Girl reminds readers of one of the most important items for graduation day: a diploma frame! Church Hill Classics included on Inc. 5000 List - Monroe Courier discusses Church Hill Classics, the only Connecticut-based company to make the Inc. 5000 Fastest-Growing Companies List a record 10 times. What sets diplomaframe.com apart? - Ink from Chase - Ink from Chase interviews Lucie Voves, President of Church Hill Classics/diplomaframe.com, finding out what sets her business apart. 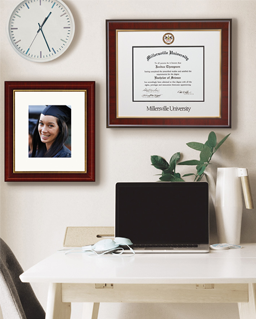 Diplomaframe.com - Custom diploma frames from Church Hill Classics - AlishaTV interviews Lucie Voves, President of Church Hill Classics. University of Florida Mike Sullivan Sports Frame featured on Darren Heitner's SportsAgentBlog.com. Study Finds Women Spending On Businesses - Hartford Business Journal Online article featuring Church Hill Classics and President, Lucie Voves. Blogs, articles, and news stories about the "Frame My Future" Scholarship Contest 2010. See who is talking about the 2010 scholarship! Click here for an article about Church Hill Classics and diplomaframe.com making the Inc 5000 list, featured in the CT Post. Click here to read Licensing Outlook's article about Church Hill Classics: "Frame Up - Church Hill Classics Makes the Memories Last"
Click here to read an update on the "Frame My Future" Scholarship, featured in the Spring '09 issue of the College Stores Association of New York State's "The CSA-NYS Chronicles." Click here to read a Church Hill Classics article, "Great Graduation Sales...Despite the Economy", featured in the Campus Stores of New England (CSNE) Winter '09 Newsletter. December 10, 2008: Church Hill Classics (online as diplomaframe.com) was displayed on the Inc. 5000 website as their Featured Company of the Day! 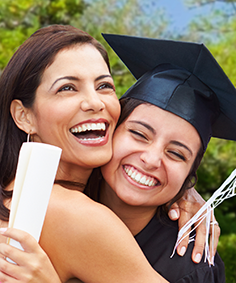 Click here to view an article about our "Frame My Future" Scholarship in The Newtown Bee. Church Hill Classics made an honorary plaque for the Monroe Veterans' Day Ceremony. Click here to view Church Hill Classics featured in the Campus Stores of New England (CSNE) Fall '08 Newsletter, for our award from Inc. Magazine as well as information about our "Frame My Future" Scholarship. GenericDomainNames.com featured Church Hill Classics on their website for success with the use of domain name diplomaframe.com. Church Hill Classics' domain name, diplomaframe.com, was featured on Domain Name Wire for their We Get It Award. Click here to view a featured article about our "Frame My Future" Scholarship in the Ridgefield Press. Click here to view a mention of Church Hill Classics' interactive online High School Create-A-Frame program. This was published in the September 2008 Industry News section of "For Members Only" The Official Publication of the Professional Picture Framers Association. Click here to view a feature of Church Hill Classics in the Summer 2008 issue of the College Stores Association of New York State, Inc.'s "The CSA-NYS Chronicles." Church Hill Classics was featured for their production manager, Robin Schultz, being appointed to the Fair Labor Association's Staff Advisory Committee, as well as the company joining the U.S. Environmental Protection Agency's WasteWise Program. Church Hill Classics was honored on the Inc. 5000 list of America's Fastest Growing Private Companies for 2008. To view an article about 58 companies in Connecticut, including Church Hill Classics, making the growth list, click here. To view CHC's profile on Inc. Magazine's website click here. Click here for a review on our sports frames from Darren Heitner at SportsAgentBlog.com. Click here to hear Lucie Voves' Millionaire Mom radio interview with Joyce Bones on April 28th 2008. Click here to read an article by President, Lucie Voves- "How I Just Said No to Low-Cost Offshoring" published in the December 2007 issue of Fortune Small Business Magazine. Click Here for more information about Church Hill Classics recent move to Monroe, CT published in the Danbury News Times, November 4, 2007, also published in the Connecticut Post on November 2nd. Click Here to read an article about Church Hill Classics recent move and continued growth from the Fairfield County Business Journal published October 1, 2007. Church Hill Classics was honored on the Inc. 5000 list of America's Fastest Growing Private Companies. To view CHC's profile on Inc. Magazine's website click here. Click here to read an article about Lucie's success from The Daily Oklahoman, published on March 15, 2007. 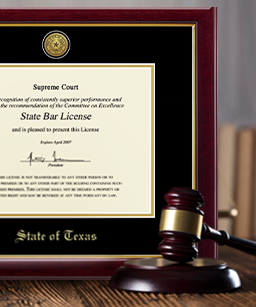 Click here to read Lucie's article "Licensing Opportunities and Pitfalls" which was published in the March 2007 issue of University Business. Take a look at Tip Number 34 in the December 2006, University Business article "101 Smart Revenue Generators (and Money-saving Ideas)". Click here to view Lucie's article “Top Ethics Build Good Business,” which originally appeared in the October 23rd, 2006 edition of the New Haven Register, to learn more about the ethical principles upon which Church Hill Classics was built. The Church Hill Classics Blog provides instruction on the proper care of your fine art and collectibles as well as resources for framing and presentment associated with our products.